(Honolulu) – Mosquitos and rats can be pests for people, but they’re also very harmful to our endangered native birds. The Kauai Forest Bird Recovery Project (KFBRP) is starting an end-of-the-year fundraising and outreach campaign to help the native birds on the island recover their population. 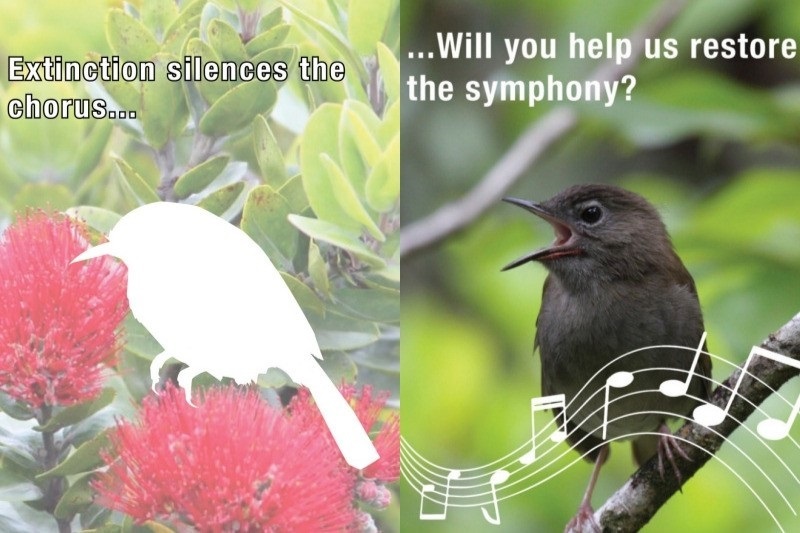 Entitled, “Songs, Not Silence”, aka “Restore the Symphony in the Forest” the project is aimed at helping restore the birds chorus to full strength. Even before the arrival of people, many of Kauai’s forest bird species were occupying the forests, but over time they have been threatened by mosquito-borne avian malaria and other environmental threats. Mosquito-disease control and rat trapping work is needed to help recover bird populations. In addition, funding is needed for research especially for the ʻAkekeʻe and Puaiohi, two critically endangered forest birds. The ʻAkekeʻe exist only on Kaua’i and only 1,000 remain. Puaiohi numbers are also down to just 500 individuals in the wild. Mosquitos and rats have contributed to their dwindling populations. You can also donate at kauaiforestbirds.org, or send a check made out to Garden Island Resource Conservation and Development, Inc (GIRCD) and mail to KFBRP, PO Box 27, Hanapepe HI, 96716.